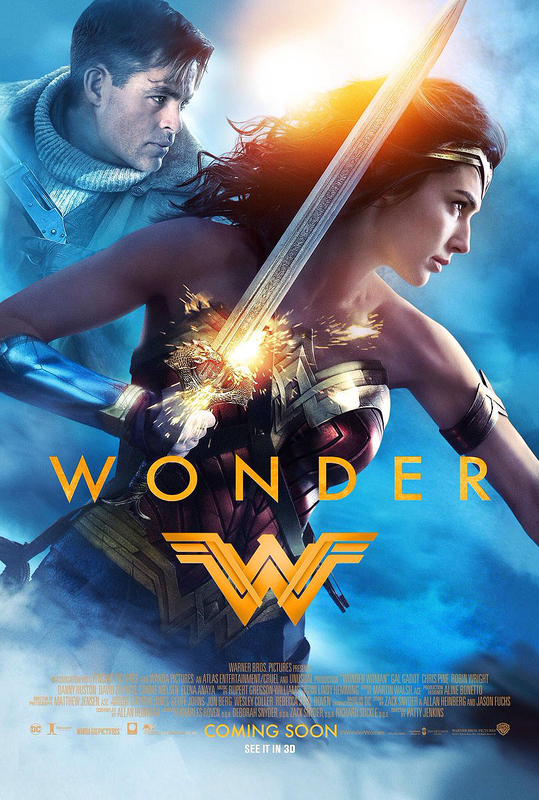 The best part of Wonder Woman is the theme, which I didn't see a lot of people talking about over the summer. I could be wrong, or have missed the posts, but having re-watched the movie with captions, I picked up several things on the second viewing that I missed on the first, and the best part for me was the overall theme of the movie. I know, I know, you don't need no stinkin' themes in your fiction. But for me, themes are the best part of a work, especially one as layered as Wonder Woman. If you have a chance to watch it again, note how many times the word "deserve" shows up throughout the dialogue. It starts at the beginning when Diana's mother tells her that the world doesn't deserve her. It's not something that is hammered home, but Patty Jenkins gives subtle nods to the idea of deserving help or getting what one deserves in clever ways. Sameer: ...but may we never get what we deserve. Then we reach the end when Diana is disheartened because she believes she's failed to kill Ares and stop the war. She echoes her mother's refrain that the world of men doesn't deserve the Amazons or their help, that the world doesn't deserve Diana. That's when Steve tells her that giving help, or doing the right thing, isn't about "deserve," it's not about blame. It's about what we believe. That is the concept that saves Diana in the end. When Ares echoes Diana's mother's words that world doesn't deserve her, Diana tells him that it isn't about "deserve." It's about what we believe, and Diana believes in love. And love ... well love is patient and kind. It doesn't engage in self-seeking, nor does it boast, because love is not proud. Love does not exult in evil. Love seeks and honors the truth. Like Diana, love protects, trusts, hopes, and perseveres. If we believe in love, we can drive back the darkness and change the world. That is the message of empowerment that Wonder Woman gives us. It's a great movie and one of the finest examples of good storytelling that I've seen in a long time. If you haven't seen it, I hope you will.